Director Brandon Loper encapsulates the storybook run-up to Kevin Durant’s victory in the NBA championships with the launch of the short film “Still KD: Through The Noise.” Produced by San Francisco-based production company Avocados and Coconuts, the 35:35 film (a nod to KD’s number) is an inspiring and inspired look at one of basketball’s greats. 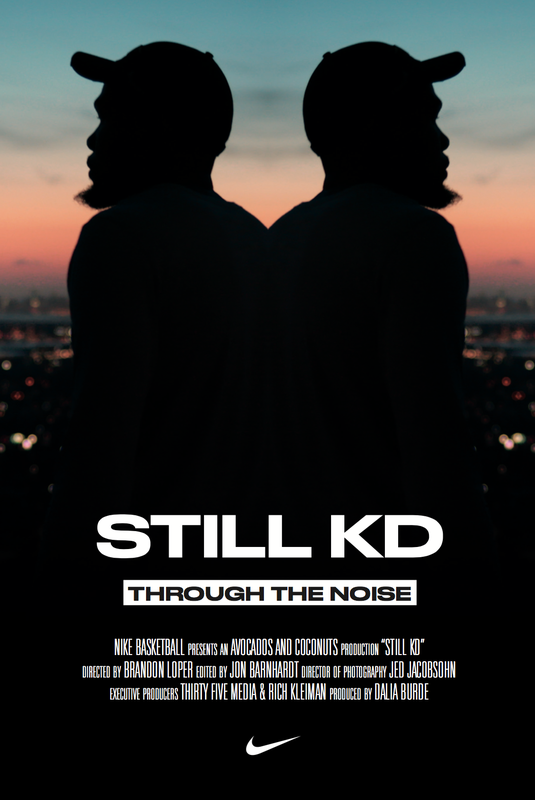 “Still KD: Through The Noise” officially launched on Nike+ and KD’s YouTube channel on July 11, following a private premiere hosted by Nike in West Hollywood on July 10. Brandon Loper and Avocados and Coconuts collaborated with Nike and agency Must Be Something to bring this story to life. Additionally, they worked closely with KD and his team, led by agent Rich Kleiman, who served as Executive Producer on the film via his company Thirty Five Media. It was decided that DP/photographer Jed Jacobsohn, who had been shooting stills of KD, was the best person to follow most of KD’s day-to-day moments and musings alongside Loper. Beginning production as KD was recovering from his knee injury, the complete film takes an intimate look at KD’s seemingly superhuman prowess as a player, and his love of and dedication to the game. 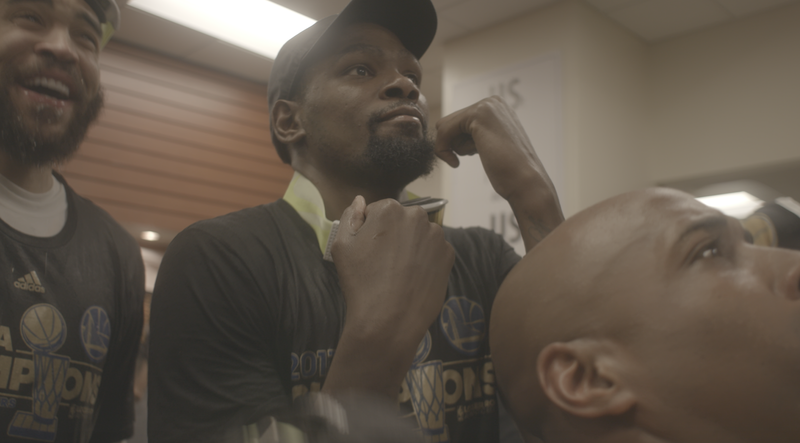 To give the KD’s first NBA title even greater context, Loper looked back at Durant’s journey with a gritty undertone and heroic flair - the controversial team move that shook the foundations of the NBA, and his devastating injury followed by the setback of his calf sprain during the playoffs. Editor Jon Barnhart cut the film over the past six weeks at Avocados and Coconuts, expertly weaving together an unflinching look at the harsh realities that come with attaining the sport’s loftiest heights. Brandon Loper’s honest, humble and conversational directing style can be attributed to his southern roots. Based in San Francisco for the past decade and represented by Avocados and Coconuts since 2012, Loper has been cultivating his craft of telling stories through advertising and short films. His debut feature documentary, A Film About Coffee, which explores the global culture of specialty coffee, screened in over 50 countries worldwide and was nominated for a James Beard Award.